A beautiful pair of 7mm Freshwater cultured pearl earrings with gorgeous 14K gold push-back mountings. 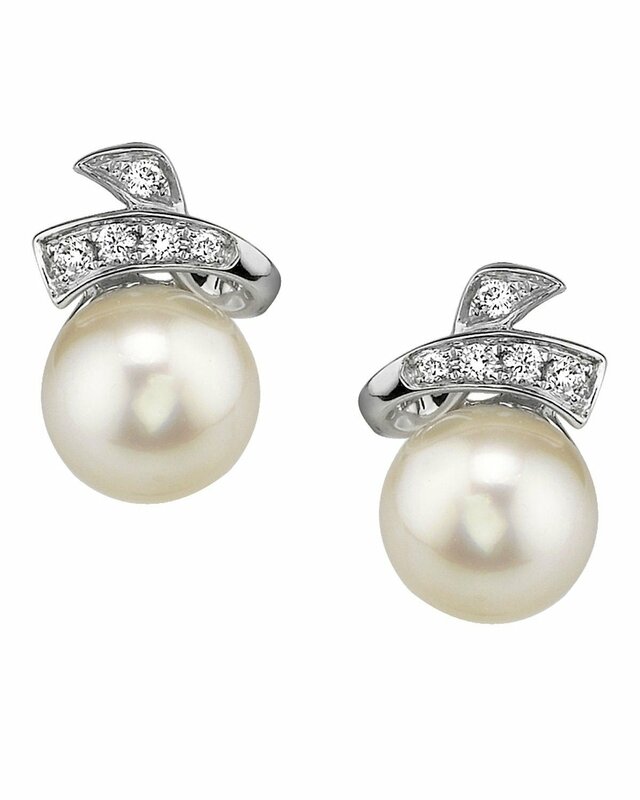 These pearl earrings are AAA Quality with 'Very High' lustre (please see our freshwater pearl grading section for more information). 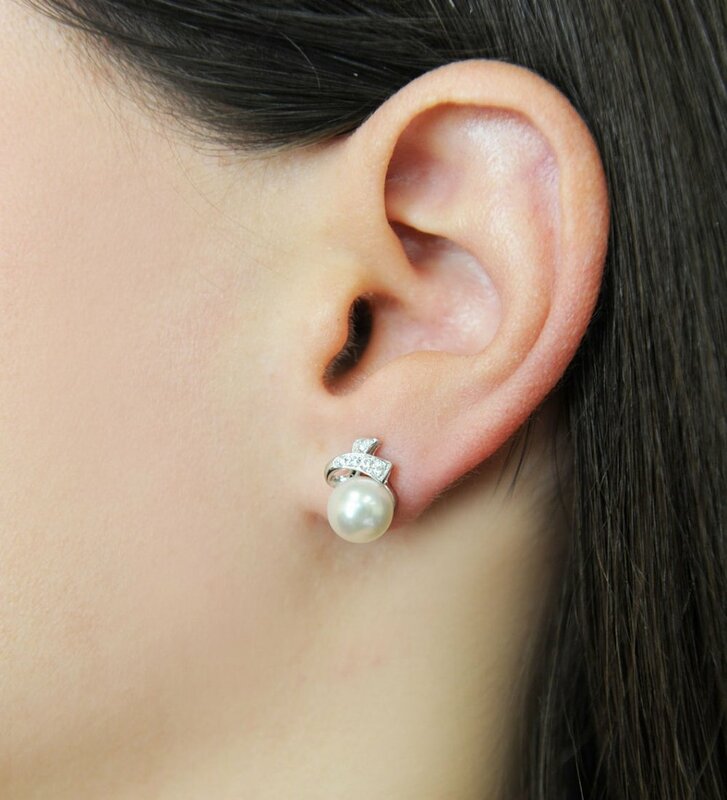 These pearl earrings comprise of approximately .11 carats of SI-quality diamonds on both mountings and are made of 2.0 grams of the highest quality 14K gold. 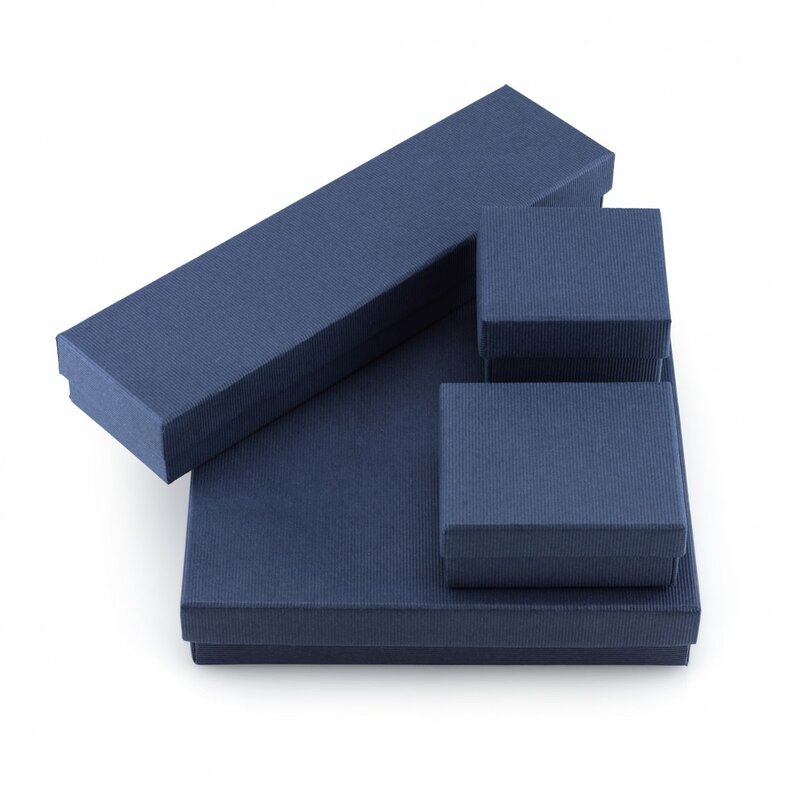 All pearl earrings are approved by our staff of GIA pearl experts and come packaged in a beautiful pearl jewellery box. Please view the options below to customize your pearl earrings to your specifications. If you have any further questions regarding our pearl jewellery, please feel free to speak to one of our pearl experts over the phone by calling 866-87-PEARL (866-877-3275) at anytime.